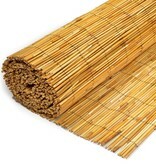 Reed mats made from 1 st species of freshwater cane , 1 stem thick. 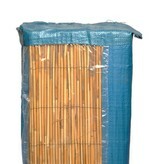 Every 10 cm bound with black plastic coated iron wire. 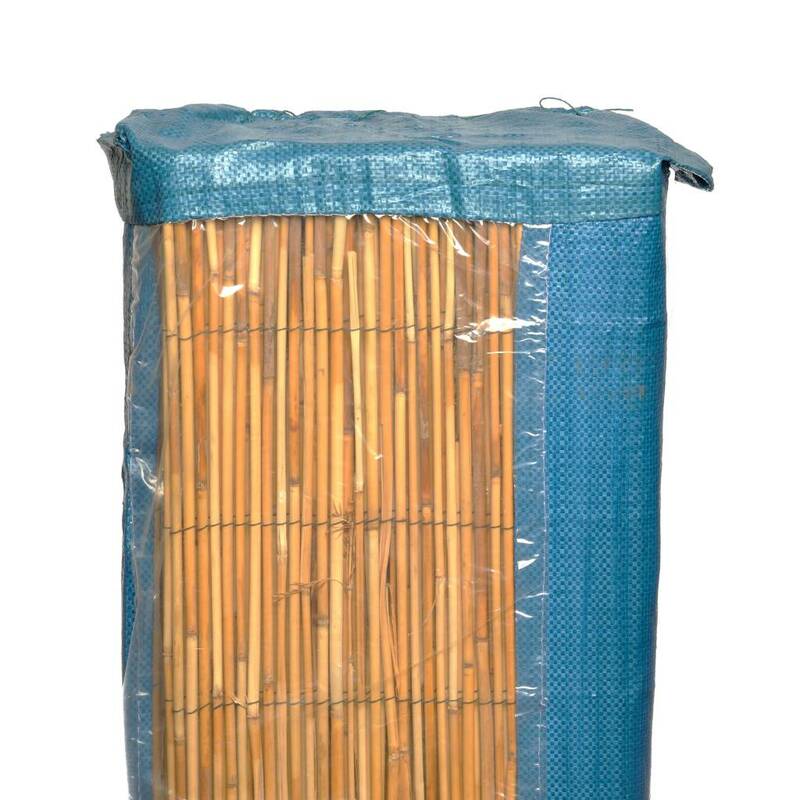 Because the membrane is removed around the reed stem, these reed mats give away almost no reed residues, so that these reed mats are very suitable as decoration for your exhibition stand, sun protection of your terrace etc .. 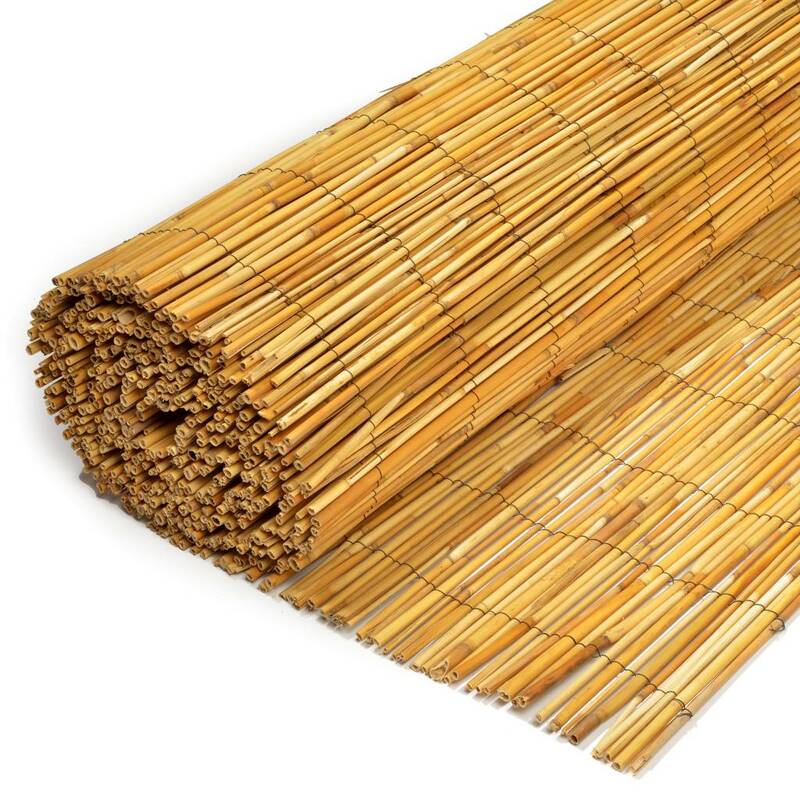 These reed mats can be cut to any desired size with, for example, a pruning shears.